Need help improving your sleep? From some basic staples that are easy to pick up at the store now, or some larger investments for when the time comes (hello, new mattress! ), we want to offer you up some personal recommendations. From both research and our team’s own personal bedtime favorites, we have a handy list of suggestions for you to get started cleaning up your snooze routine, and sleeping like a baby. A mattress needs to be replaced every so often, so consider a new one, especially if you’ve had yours for over ten years. If it’s time for an upgrade, you should consider opting for organic materials. Cotton is one of the most sprayed crops, so conventional cotton has potential to harbour a lot of chemical residue. Organic cotton is a good choice. If you’re not allergic, latex provides a very safe alternative. This particular mattress uses a blend of both, and it comes in many sizes. Many store-bought pillows aren’t only going to be somewhat uncomfortable, they also have potential to be chemical-laden with synthetic filler. Instead, opt for natural buckwheat, horse hair, hemp or latex. Weird, right? Trust us! These are non-problematic, and more comfortable than they sound. These buckwheat pillows are rather affordable. If you want to splurge, a latex foam pillow might be a good choice. These are good for keeping out any pesky light. 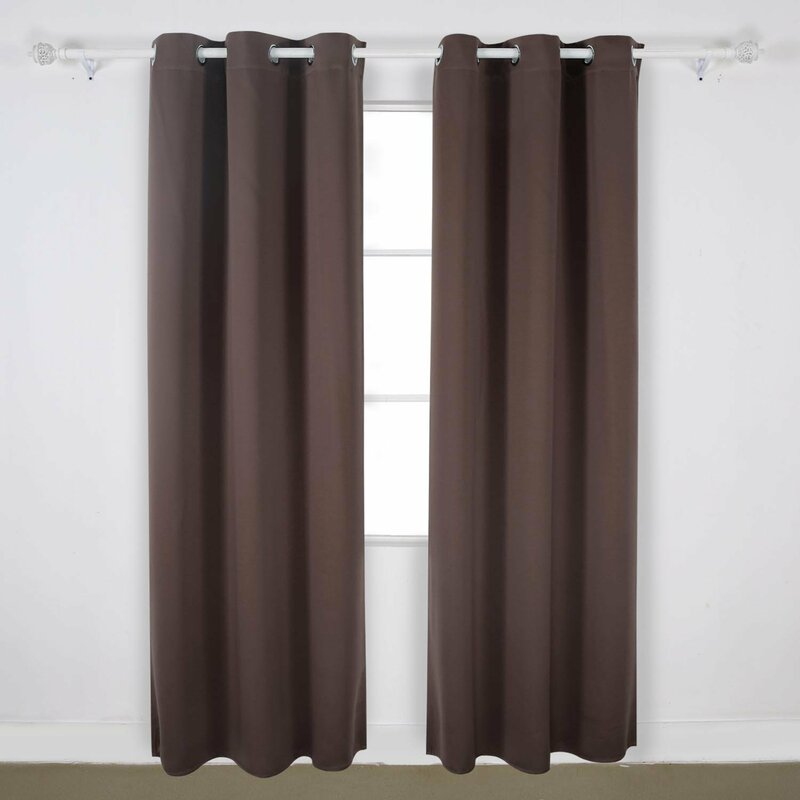 Whether you live on a heavily-trafficked city street conveniently located outside your bedroom window, or you work night shift and have to sleep while the sun is up, properly fitted blackout curtains will do the trick. These insulated blackout panels come in many colors and three different sizes. Seb’s experience: I started using blackout curtains about three years ago, and they have made a huge impact on my sleep quality. It’s easier to fall asleep at night as I don’t see the lights from passing cars on the street. In the summer, I don’t get woken up by the early morning sunlight. Before buying, make sure to double check that the size and the hanging mechanism work with what you have available. If you want to improve your sleep, this is my #1 recommendation. If you’re sharing the bed with your partner or prone to getting too hot at night, moisture-wicking sheets can make a huge difference. Remember, you want your body to stay as cool as possible at night! Wicked sheets provide a comfortable option for the fussiest of sleepers. Blackout curtains can work wonders, but an eye mask ensures that it’s just about pitch black when you fall asleep (and that it stays that way). Choose a comfortable mask, like this one which is made of silk. One of the best things you can do for circadian rhythm is regulate light. In the longer, cooler months, sometimes our sleep can suffer. The Lumie Bodyclock gradually brightens, simulating the sunrise, to help wake you up. You can choose to accompany your bedside sunlight with an actual alarm. This helps you wake up gently feeling refreshed, energized and ready for the day while offering up mood-boosting properties as well. Irena’s experience: I love our Lumie clock. When we moved to the UK, a friend recommended it to me as a ‘must have’ in winter, and she wasn’t lying. And, as I have discovered, it’s useful not just in winter and not just in the UK. In the colder months, when the mornings are dark, I find it hard to wake up and get out of bed. Why? Because my body is saying ‘Hang on, but it’s still dark – you should be sleeping’. The same goes for when you sleep with blackout curtains. On the one hand, it’s awesome that it’s pitch black, which makes you sleep better and deeper, but when it comes to waking up, your body has no ‘light’ cues to tell you to wake up. The Lumie clock is like an alarm clock but it uses light to wake you up naturally. You can set it to wake you up at say 7 a.m. and it will emit daylight gradually starting at 6:30 a.m. By 7 a.m. it will make your room feel like you have bright daylight coming through the window, even though it might be dark outside and you might have your black out curtains on. Seriously, it’s changed our mornings. Instead of waking up groggy and half asleep, our bodies gradually wake up with the light so that by 7am we feel ready to get out of bed. On the opposite side, we use it recreate sunset when we go to sleep. You can set it to start with regular room light and then set to darkness within half an hour. I will often read my book and as the light gets darker, with a hint of yellows and reds, my mind will start to slow down and I will get sleepy. Again, this is great instead of reading with a bright light on or looking at a blue-light screen. This could help if sinus problems or allergies keep you up at night. Sleeping in a space with clean air can improve the quality of your sleep and prevent a stuffy nose or sore throat in the morning. Besides, lessening the toxic load of our environment certainly isn’t doing any harm! Try the GermGuardian. The negative ions omitted from these lamps helps to ionize the air, fight radiation, and subsequently fight fatigue, lethargy and sluggishness, helping you feel better in the morning and keep your surroundings in good standings. We like this model. This bath time ritual is super soothing, and can help you get in a dose of magnesium – a natural sleep aid – before bed in addition to making your pre-snooze bath more enjoyable. Epsom salts physically relax the body, relieving tension and pain. Try Dr. Teal’s brand which offers different aromas including lavender or eucalyptus and spearmint. Irena’s experience: I have a 5 kg. bag of Epsom/magnesium salts in our bathroom, and I use a cup of salts when having a bath (which we do regularly before bed as a way to relax and unwind). Sometimes, I make a foot soak while watching a movie. This is a great option if you don’t have a bath. Epsom salts, also known as magnesium salts, are fantastic at supplementing your body with magnesium, which helps your muscles relax and recover from workouts, helps you sleep better, and is essential for many bodily functions and for other nutrients to work properly. If you have muscle or joint inflammation from injury or otherwise, you can use magnesium salts to create a bandage for the affected area as well. Another use – body scrub! Mix it with some olive or coconut oil and your favorite essential oil and voila. Coloring isn’t just for kids. Order a good vibes coloring book to promote positive mindset before bed. Maybe you’re more of an animal person, and you want to color man’s best friend. You can find the right book for you. Don’t forget to snag the jumbo pack of colored pencils. You’ll find adult coloring books in shops all over the place, and you can get the jumbo pack of colored pencils to afford you the maximum amount of creative freedom. A quick session before bed will reduce stress; coloring forces your brain into a naturally meditative state, and you’ll be more likely to get into the groove of the present moment rather than dwelling on what’s happened today or what lies ahead tomorrow – two factors that definitely keep us up at night! Stress and anxiety are two huge triggers in individuals who suffer from insomnia, and coloring can effectively address both. We love this lavender-vanilla lotion or this soothing body oil for topical application before you settle down for bed. Besides the calming effects of the herbs themselves, it can feel great to pamper yourself at the end of the day. You can also opt for various essential oils which have loads of mind and body benefits; you can apply them, or diffuse them which can add some amazing sleep benefits to your environment. Irena’s experience: I have used oil diffuser to fill our bedroom with lovely aromas before going to bed, and this can honestly make you more sleepy and relaxed. You can also buy a little essential oil roll on to dub on your temples and under your nose, or even a little oil spray for your pillow, all of which are great for when you’re traveling or if you don’t want the whole room to smell like lavender. Read more about natural sleep remedies. Any herbal tea is a fine contender for a good night’s rest. We love chamomile with its anti-stress properties, appropriately named Sleepytime Tea and lavender-centric Cup of Calm tea. Irena’s experience: I can’t remember who introduced me to Sleepy Time tea; I think it was my partner when we first moved in together, but it’s a staple in our house! I know some people will have a glass of wine with movie or book before bed, but I love a cup of sleepy time. There are different brands that use slightly different herbal formulas, so you can shop around for what works for you. You can also make your own blend using some natural herbal sleep remedies. Maybe all that silence just isn’t for you. Perhaps, drowning out the noise should be done with more noise. White noise machines offer a little calm for those of you who can’t take the quit. The Dohm machine has two convenient settings. Alex’s experience: I was highly opposed to having any noise in the room when I was first introduced to the Dohm machine by my partner, but he insisted that he needed it to sleep. I was open-minded, and I was also pleasantly surprised. I lived in a rather loud neighborhood at the time, and there was a ton of background noise from cars to people shouting late at night which was difficult to drown out. When we began using it, I noticed a big improvement in my sleep. Moreover, we really liked to use it while traveling and sleeping in unfamiliar places which was great to soothe the anxieties of sleeping in a new bed or in places that were less comfortable than my bedroom at home. It goes without saying that ear plugs can drown out background noise from the outside world, thin walls and people you live with, or dull noises around the house that are out of your control. These ear plugs are soft, gentle and can easily be replaced. Share them with the family! Alex’s experience: I grew up in a musician’s home, and guitar players don’t exactly have normal operating hours when they’re working a day job! I remember when a friend first gave me earplugs, and it revolutionized my sleep. Now, I still rely heavily on my ear plugs! The big box means you can lose them (believe me, you will!) but never worry about running out of them. They’re also so soft and comfortable compared to many other brands I’ve tried. Data nerds, rejoice. This is the ultimate way to tweak your sleep so you can make it work for you. The Sense sleep system does everything from playing ambient noise to wind down with, environmental monitoring, and a smart alarm that automatically optimizes wake-up time for you. While you can track your sleep with mobile apps or simple journaling, a wearable is another great way to effortlessly collect some data on sleep. Learn when you are most restful, and observe patterns in the amount of sleep you’re getting while the FitBit tracks it all for you. Alex’s experience: I love my FitBit, and I love seeing my sleep stats stack up. It really puts into perspective which times of the night I’m getting the best sleep, thus helping me to dial in on those hours and see where I can improve my sleep. It’s a pretty passive way of tracking sleep, and the data will compile itself on the FitBit app for your smartphone, so it’s a pretty effortless way to stay accountable for your rest. Bullet journaling is incredibly useful for tracking sleep. It’s a fantastic habit to get into in general, and it can be a part of a healthy bedtime routine in terms of quieting your mind and getting your mindfulness on. It offers a simple layout for even a novice journaler to begin tracking food, exercise and/or sleep. Alex’s experience: I swiftly began my bullet journal after learning the ropes, and it changed my life! It’s offered me so much accountability in terms of my priorities – one of which is sleep – and organization. My productivity has increased so much, and even my energy has. It also reduces stress big-time and allows me to focus on the positive aspects of my life which helps to eliminate pre-bed anxiety. What are your must-haves for a good night of zzz’s? Share your product recommendations with us below. We want to know what changed your life! If you want more help trying to spruce up your sleep, join our 7-Day Sleep Better Challenge with the tools and accountability you need.